No, the President’s Cabinet is not where Obama keeps his linens. It’s actually a group of appointed advisers who run various federal executive departments. Some of the well-known positions in the Cabinet include Vice President, Secretary of State, Secretary of the Treasury, Secretary of Defense, and the Attorney General. 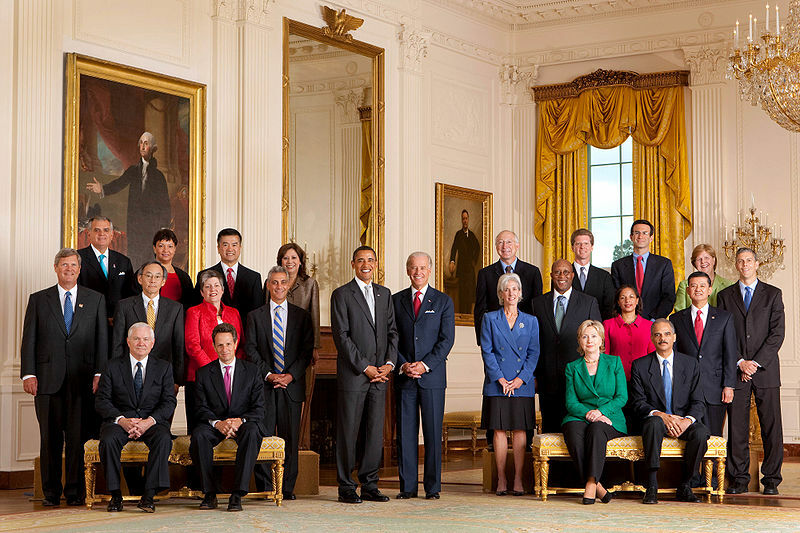 The first President’s Cabinet was appointed by President George Washington. The members were future president Thomas Jefferson as Secretary of State, future president Alexander Hamilton as Secretary of the Treasury, Secretary of War Henry Knox, and Attorney General Edmund Randolph. Since then, Cabinet positions have expanded to include Secretaries of Agriculture, Commerce, Labor, Transportation, Energy, Education and more. A lot of care goes into appointing a great cabinet. You need versatility, stability, and members that can work together as well as operate independently. Here at Contempo Closet, we instill those same qualities in our furniture. Versatility – we build custom closets for a variety of unique situations. Independent – our furnishings are freestanding, meaning they don’t need to be attached or secured, but they can still blend in great in any space necessary. Whether you’re running a country or redecorating a bedroom, the best solutions always feature versatility, stability and free standing capability. Remember that, and you’ll never find yourself disappointed. This entry was posted in Closet, Office, Organization, Wardrobe and tagged cabinet, clinton, DC, executive branch, obama, presidents' day. Bookmark the permalink.